Are you planning a vacation to the United Kingdom or Ireland with your family? Or are you wondering which cities to visit in Ireland or the U.K. with kids? You have come to the right place! Since becoming parents in 2018, Frank and I have taken our son on several (city) trips. 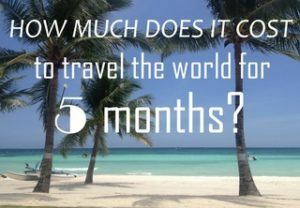 Traveling as a family is very different from traveling as a couple, but we absolutely love it! To provide you with lots of travel inspiration, I’ve asked family bloggers about their favorite kid-friendly cities in Ireland and the United Kingdom. Faith from XYU and BEYOND: Belfast was named one of the coolest cities on earth by National Geographic. Leaving its troubles far behind, Belfast is one of the best cities in the United Kingdom to visit with children. Due to the popularity of the HBO series Game of Thrones and the Titanic Experience, more and more people are visiting Belfast. An incredibly vibrant city, Belfast is easily one of the greatest places in the U.K. for families and children. It’s a very walkable city with plenty to see and do. St. George’s Market is one of the oldest covered markets in Europe. This is where the cities residents hang out on weekends. Grab some amazing paella or French crepes, or simply enjoy a full Irish breakfast while the kids explore. Belfast will delight young and old alike. You can take in the cities history on a Black Taxi Tour and learn about the troubles. Or hang out and enjoy the craic in the Cathedral District with its outstanding pubs and restaurants and brilliant street art. Children are allowed in all pubs until 9 o’clock at night and can enjoy traditional music sessions. Wander around the University District and check out the Ulster Museum. There are loads of funky little shops, a gorgeous park and plenty of time to just wander around. Go for a pint at one of Belfast’s oldest pubs the Crown across the road from the Europa, Europe’s most bombed hotel. Or head up the Black Mountain in the Divi’s for spectacular views of the city, a brisk mountain walk and a lovely cuppa at the Stone Tea House. 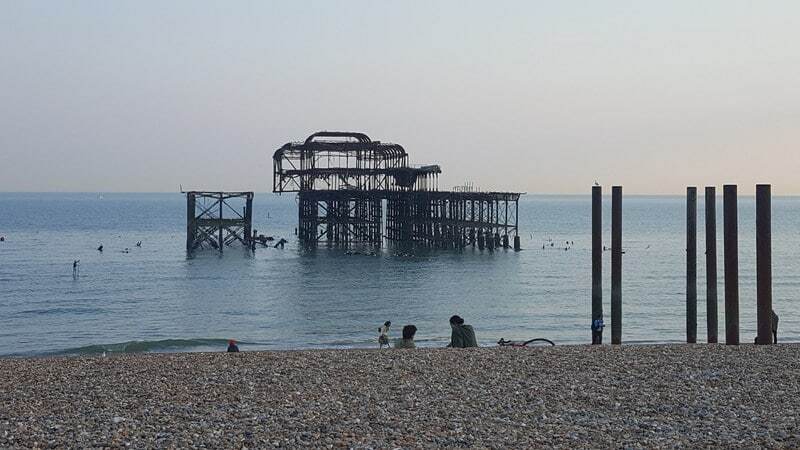 Danni from Live in 10 Countries: a proper seaside holiday is one of those memories we all treasure with family – and that’s exactly what the twin city of Brighton and Hove delivers! Of all the UK’s seaside resorts, this one in Sussex has unique colorful culture and a host of attractions that will suit kids and adults. Long stretches of the beach are perfect for dog walking, but even better, in summer you can BBQ on the beach or picnic on Hove Lawns, just behind the seafront. All that and brightly colored beach huts, set between cafes serving delicious ice cream and sticks of rock will make your visit a day to remember. Central Brighton will tempt kids with its Toy Museum, featuring an enormous electric model train and all the glitz and funfair rides of Brighton Pier. Round off the perfect day with a stroll to the Royal Pavilion. As an iconic building, it’s a must see, but it’s also home to a fun museum that’s full of exhibits from the past and will suit families who like to uncover the past. Cath from Passports and Adventures: another great cities in the U.K. to visit with kids is Cardiff. 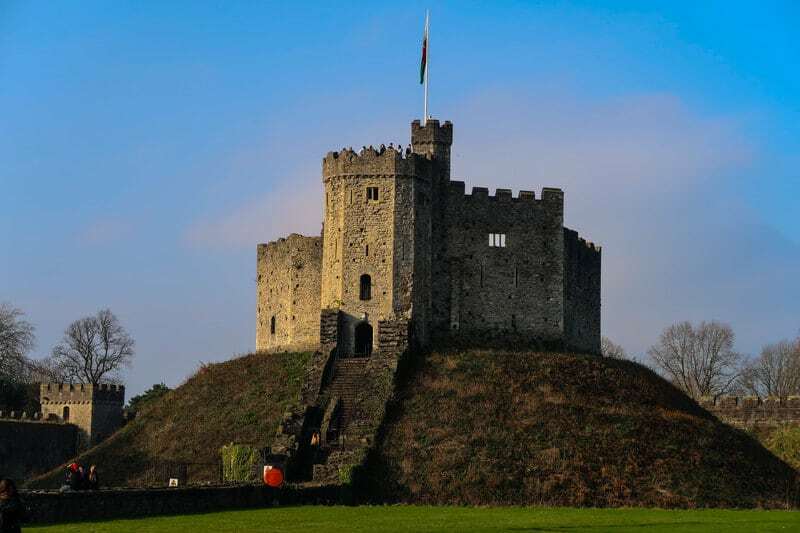 The Welsh capital has a lot to offer families, from museums to parks to a beautiful castle. The city centre also plays host to Bute Park, a beautiful park with an arboretum and playgrounds sitting behind Cardiff Castle itself. Just across the road from the castle you will also find the National Museum which often plays host to special exhibition to accompany its permanent ones. Slightly outside the center (located near Cardiff Bay) you can find Techniquest, an interactive science center which hosts special toddlers’ days on certain Fridays during the year. And one of the best things to do in Cardiff with kids is to pay St. Fagan’s a visit. The Welsh National History Museum is a great family day out and chronicles Welsh life for over 1000 years! Eoin from Dolly’s Quest: Dublin is one of the most visited cities in Europe and rightly so! This stunning little city has something for everyone. From famous breweries and nightlife to one of Europe’s largest parks, Dublin can accommodate all interests. Summer is peak seasons as visitors tend to avoid the rain as much as possible, but there is still plenty to see in winter. Some of the best attractions in Dublin include the Guinness storehouse, Collins barracks and Phoenix Park. The Phoenix Park is especially popular with families and kids. Visitors can try to catch a glimpse of the president in Aras An Uachtarain, feed the wild deer who call the park home or take a trip to Dublin Zoo. For those interested in history, Dublin has more than enough to offer. You can visit the home of the authors James Joyce and Bram Stoker, learn about Irelands fight for Independence or the largest Viking settlement outside Scandinavia. And the places mentioned here are just a glimpse of what this astounding city has to offer all year round! Kaylie from Happiness Travels Here: Edinburgh in Scotland is a fantastic city to visit with kids! Edinburgh has family-friendly attractions, a compact and walkable city center, child-friendly restaurants and excellent public transport. The cities top attraction is Edinburgh Castle. Pick up the kids quiz from the audio guide desk and head off on a treasure hunt. This will take you past crown jewels, canons, dungeons and grand halls. Visit the Royal Mile, Edinburgh’s most famous street. Here you’ll pass historic landmarks like St Giles Cathedral and the Scottish Parliament. You’ll also find plenty of street performers and bagpipers. The Royal Mile sits along the crest of a hill with narrow passageways called Close’s running off to the sides. These steep, historic alleys give interesting views and are fun to explore. The National Museum of Scotland is also found in Edinburgh. This museum is free to visit and has multiple interactive exhibitions that are perfect for kids. Download the free app or pick up a map in the lobby. Kids will love the Natural History, Explore and Imagine exhibitions best. Plan to spend at least half a day visiting the museum! Priyanko from the Constant Traveller: Fort William, a tiny town in the Scottish Highlands, means different things to different people. Mountain climbers revere Fort William as the base camp from where they try to summit Ben Nevis, the highest mountain in the U.K. 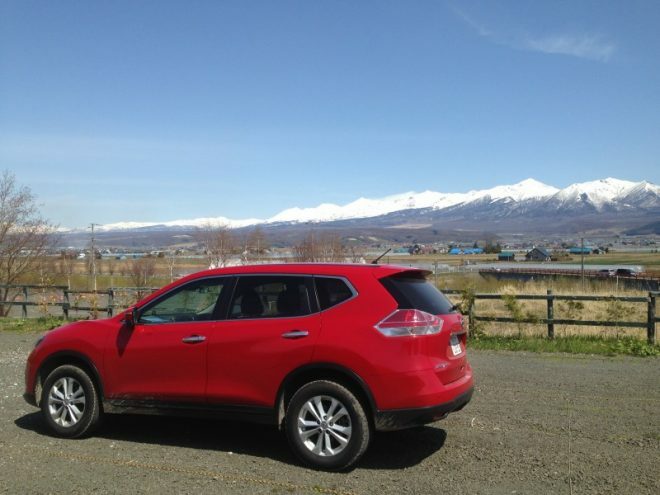 Families that lead stressful lives come to live an idyllic life away from the big cities. And then there are my brethren – fans of Harry Potter who book the Jacobite Express train as soon as it opens for reservations. Why? Because the Jacobite is the real Hogwarts Express! In fact, the first thing I did after booking my tickets to the U.K. was reserve my seat on the Jacobite Steam Train from Fort William to Mallaig, a port town on the Scottish Highlands. West Highland Museum and the Jacobite Uprising to learn about, which most likely gave the now-iconic train its name. The natural surroundings also encourage camping as well as walking at least part of the famed West Highland Way, an excellent way for families to bond together. But nothing beats the steam-billowing Jacobite train ride. When I finally took my seat, I was surprised to find the level of enthusiasm amongst fellow Potterfans, a large number of whom were travelling families who had made the journey here as part of a pilgrimage of sorts. An entire group of Japanese tourists of all ages were dressed in Gryffindor costumes while an elderly couple who loved the Potter books held hands throughout the train ride. The Japanese grandfather passed rare Japanese whisky to show his appreciation for the train ride while his extended family ran around the train taking selfies. As for me, passing the Glenfinnan viaduct meant the culmination of a long-cherished dream to visit an actual Harry Potter filming location. And what better place than the wild beauty of the Scottish Highlands to do it in! 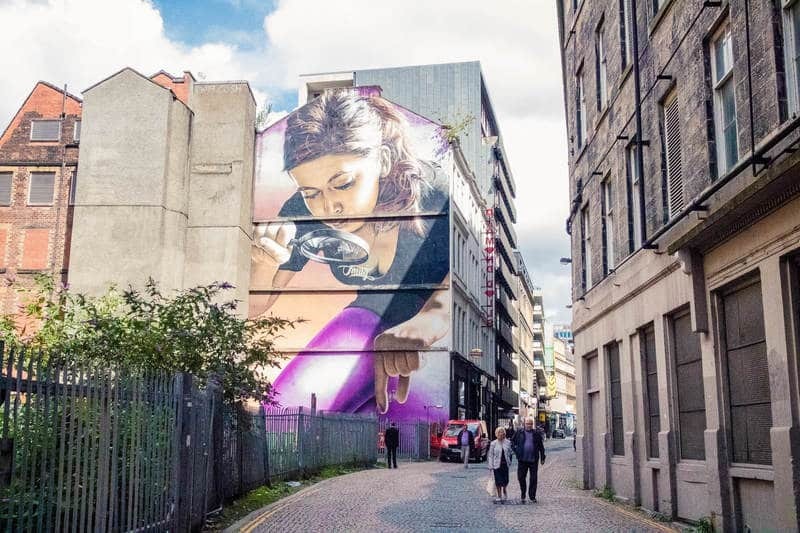 Kathi from Watch Me See: Glasgow is an exciting destination for any kind of city traveler, but particularly for families with kids, there is a lot to do and see! The city is small and very walkable – but whenever the little ones get tired, the hop on hop off bus is nearby and easier to navigate than public transport. The city is incredibly budget-friendly, not only when it comes to accommodation, but also because there are so many free things to do. 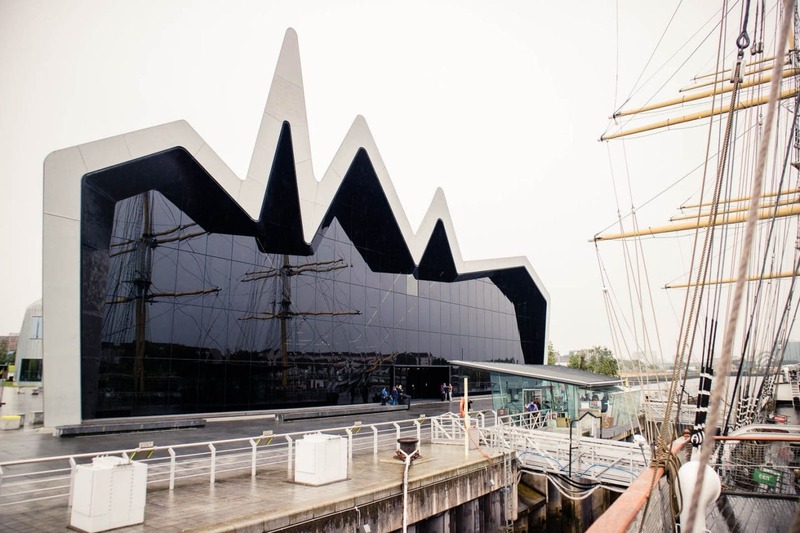 Most of the museum in Glasgow are free to enter and museums like the Riverside Museum for Transport and the Kelvingrove Museum are particularly family-friendly. Active families will love the number of parks in Glasgow, which is actually Gaelic for “Dear Green Place”. Some of the best parks in Glasgow are Kelvingrove Park, the Botanic Garden and Glasgow Green and they boast playgrounds, playing fields, skate-parks, and plenty of open space for playtime or picnics. 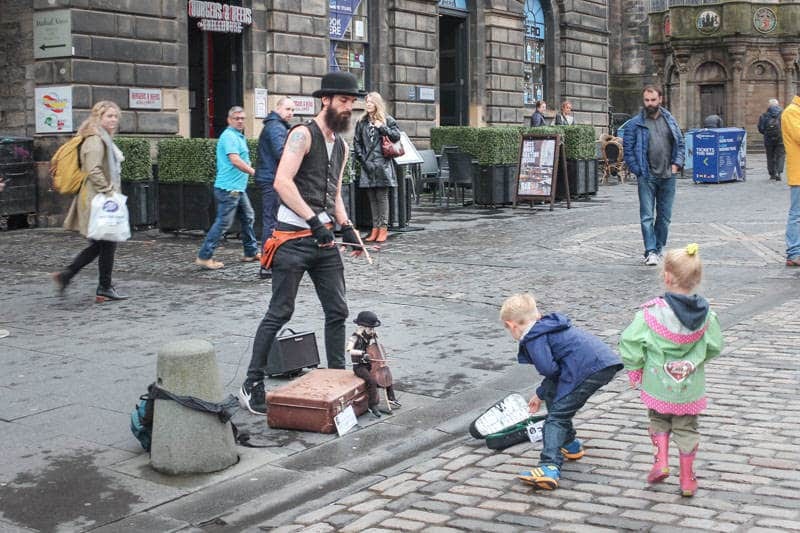 In addition, there is always a wide range of family-friendly events, whether it is kids cinema at the GFT, theater at the Scottish Youth Theater or Tramway or special workshops and classes at institutions around the city. There is never a shortage of things to do in Glasgow with kids! Cristine from Ireland Travel Guides: Limerick City is one of the largest and most populous cities in Ireland. Limerick is also considered one of the most beautiful Irish city with plenty of things to do for both grown-ups and kids! The 13th century King John’s Castle tells centuries of history through state of the art technology that connects visitors to the tales of medieval Ireland. There are also several museums in Limerick that hold various artifacts such as Limerick City Museum, Frank McCourt Museum, and the Maritime Museum (a place kids can both enjoy and learn from at the same time)! Limerick has several parks and gardens, such as People’s Park and Terra Nova Fairy Garden (just a bit outside of the city), where a traveling family can relax, play or just enjoy the nature. Charming villages and districts punctuated with stone buildings, medieval designs, and Georgian architecture dominate the city as well. From medieval castles, museums, parks to activity centers, there are enough things to see and do for everyone! This makes Limerick City one of the best places to visit with kids in Ireland. Emily from Kids and Compass: London is perhaps the greatest city in the world. It’s so full of history, culture and the arts that you could spend months here and still feel as though there’s plenty left to do. London has also got a huge amount of things to do with kids, especially fun but educational attractions. There are world class museums which are entirely free (except for special exhibitions) like the Natural History Museum and the British Museum. Older kids will enjoy getting a taste of London’s bloody history at the Tower of London and the London Dungeon, among other places. Not everything has to be about history or culture though. London’s parks are second to none – Hyde Park and St James’ Park are central London standouts, while Kew Gardens is one of the best gardens in the world. London is great for shopping too. Little ones will go crazy for Hamley’s toy shop, while older teens will love the buzz on busy Oxford Street. In the evening, if you’ve got the energy that is, London’s theatre scene also has several shows suitable for kids of all ages, including the Lion King, Wicked, Aladdin and many more. 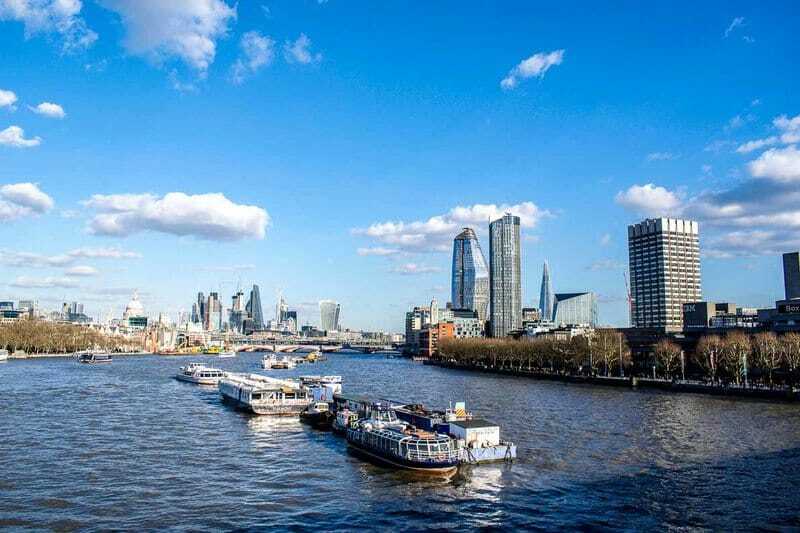 Whatever you decide to get up to in London, one visit definitely won’t be enough! Leona from Wandermust Family: York is the perfect city in the U.K. to visit with kids! Easy to get to either by car or train from most major UK cities and close to Leeds international airport, York is very accessible wherever you are coming from! There are tons of family friendly things to do whatever the weather, such as the fabulous National Railway Museum, river cruises and the yummy Chocolate Story Museum. For older children you can learn about some of York’s more gruesome history on a ghost walking tour or a trip to York Dungeons! Also read this detailed guide to Yorkshire with kids written by a York local! It is also a great place to visit for the budget conscious family! A trip to York doesn’t have to be expensive for families. There are plenty of free activities, such as walking the historic city walls, visiting the national railway museum or taking a trip to the Shambles! On top of that York is full of historical gems that no visit to the city is complete without. First, be sure to visit the York Minster and marvel at the stained glass. With older children, climb the tower for unrivaled views across the city! Clifford Tower is another gem that explores some of York’s more unpleasant history! And, at any time of year, children will love the Museum Gardens! My little one especially loves a visit York during Christmas to see the beautiful illuminations! I hope this list has given you lots of ideas which city to visit next with your family. Happy travels! The pictures are very beautiful. I am getting inspired to plan a trip just from looking at the pictures.